It’s a real accomplishment to be featured in The World of Interiors, the publication that so stylishly sets the tone for the industry, so we are honoured to find ourselves in the latest edition. If it’s exciting to be chosen, it is all the more pleasing to see such a substantial piece that delves so deep in understanding our signature project – our experimental textile house in west London. 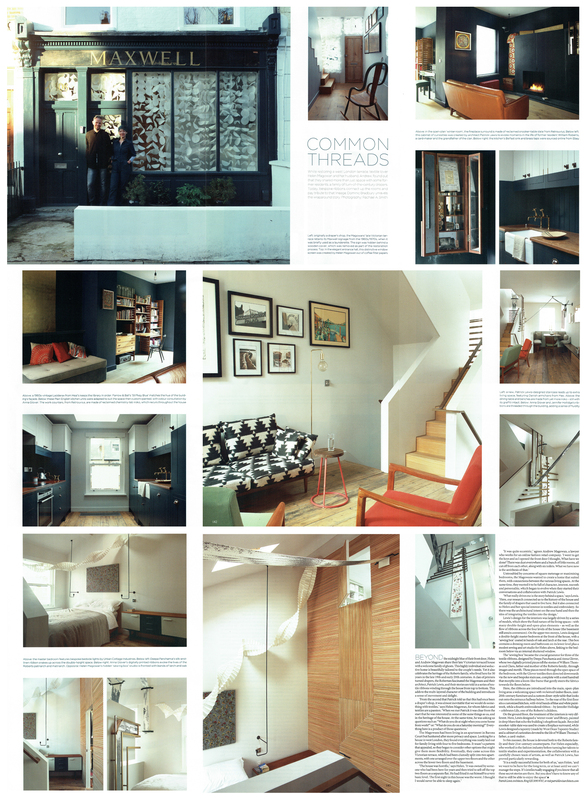 Headlined Common Threads, it explains how the history of the 1890s/1900s residents of the house – a family of drapers – struck a chord with the present owners and gave us the initial inspiration for our work. This starting point grew into an extraordinary example of our inventive ethos, work with creative collaborators and the close relationship we build with clients. 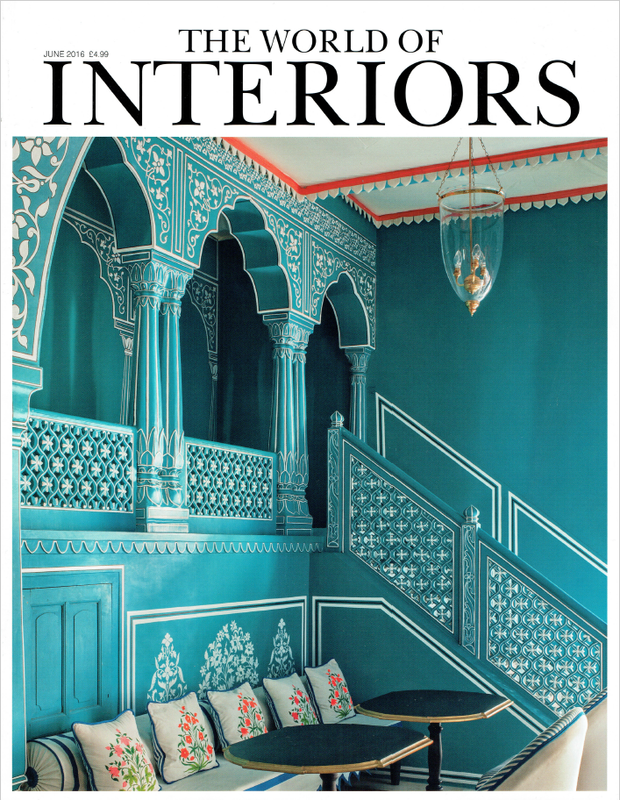 World of Interiors has produced a fabulous report, with a warm collection of photographs and text that looks further than the architecture to highlight the furniture and artworks that are an integral part of the design. You can read the full piece in the June 2016 edition here. It features the cabinet of curiosities we created to evoke memories of the former residents, the ”sewing box” we devised to contain a dressing room, bathroom and sewing and art studio, and details down to the recycled snooker-table slate we used for a fire surround. The house, in Brackenbury Road, has already enjoyed much recognition. It was shortlisted for The Architects’ Journal (AJ) Retrofit Awards and invited to take part in London’s Open House weekend. Many thanks to our clients Andrew and Helen Magowan for all their help and ongoing support.